Thanks to the introduction of the European Electronic Toll System (EETS), digitalised toll management yields more benefits than just the substitution of a wide diversity of toll boxes, vignettes and cards for just one box and one bill. 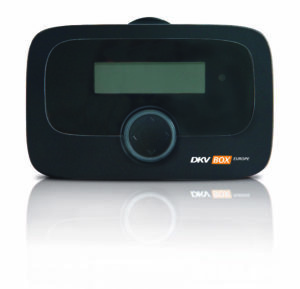 In my previous blog I wrote that the introduction of EETS-compliant toll boxes like DKV BOX EUROPE meant a significant step towards digitalised fleet management, which would in turn imply that all records of each vehicle equipped with an EETS-compliant toll box are collected in one location. This also brings opportunities for compiling reports and analyses that would give you better insight in your fleet and enable instant response and action on your part. Insight in your trip records enables you to analyse driving times and rest periods. You will also benefit from improved insight in your drivers’ fuel usage and driving conduct. Since many data are vehicle-specific you can compile a deployment analysis of your fleet. Are certain vehicles underused? Are specialised vehicles deployed efficiently? Your insight in these records makes it possible for you to verify all this on a daily basis, thereby optimising your asset management. By linking the successive vehicle-status reports to HR and planning data you can optimise your use of time and personnel. At DKV Euro Service we have for several years been working on eReporting to make analyses like these possible. A single push on the button gives our customers 24/7 made-to-measure, individual insight in their fleets on aspects like average use, mileage, transaction costs and CO2-emissions. 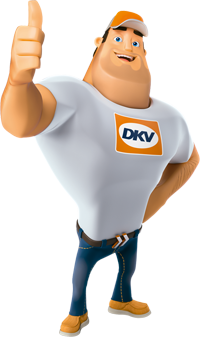 The arrival of our EETS-compliant DKV BOX EUROPE will in future make this reporting and analysis environment even richer in information. To this end we took up collaboration with market leaders in automotive and IT, Daimler and T-Systems in fact, to create a new approach under a joint-venture named Toll4Europe: a smart telematics platform containing integrated tolls and vehicle services. A platform employing the newest interface technologies that can also accommodate and integrate systems used by third parties (like the previously-cited HR and planning data). In this way you will soon be disposing of one environment that provides reports and analyses of your collective fleet management data. A truthful source, instilling confidence that will enable you to take balanced decisions for the benefit of your company.